The Internet is a huge reservoir of unlimited information. There are different tools to harness this energy of the reservoir in such a way that it is beneficial to the business and to the market in general. One of the tools used is Web Scraping. Web Scraping is a tool that is used for extracting information from different web pages and putting it together. Web Scraping is used to generate leads for the business, improved search engine optimization, reviews from the customers, the response to the product, comparing prices and other uses such as market research. There are different advantages of using web scraping services. Talking about the small organizations, there are not enough resources that can be invested in order to collect data from different sources. Here, web scraping services come into the picture. 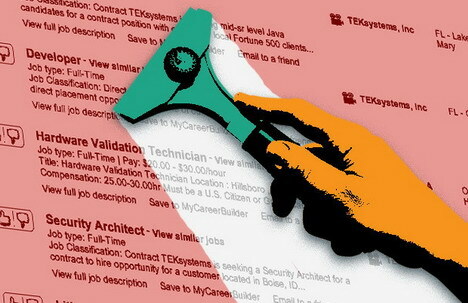 Web scraping services are inexpensive and do a very efficient work for the business. This helps the organization to do a very important job in a very budget-friendly manner. The data collected from different sources can be analyzed by using different software and required information can be obtained. There is a huge amount of data that can be collected at a low cost and used for market research. Investing in a web scraping service is an investment that you will have to make only for once. Anonymous web scraping services are inexpensive on the first note and on the second, the web scraping services allow the gathering of information from all the different resources at the same time. There are different tools available which either help with gathering information from individual platforms or are involved in the analysis. This increases the cost of operation for the organization. But, while using web scraping services, these costs can be eliminated completely. This is one of the greatest advantages of using a web scraping service. Once the tool is installed on the system, there is not much maintenance required to run the software efficiently. There are many tools in the market that require higher processing power as the software upgrades. While using web scraping service, the processing power required remains the same and the software keeps running smoothly. Moreover, the web scraping service tools are light in nature. This means they will not slow down the system. The software will collect the information and store it without causing problems to other features of the system. It is important to have an accurate data when a market research is to be carried out. If the data is inaccurate while collection, it can lead to major risks while implementing. The processing of web scraping service is easy and fast. Although, this does not compromise the quality of data that it gathers. The data collected from different web pages is accurate and sorted. As you choose the higher versions of the web scraping tools, the data gets more filtered and better quality of the data keeps getting collected. There are different advantages of using the web scraping services. There are some disadvantages too which have to be kept in mind. All in all, it is important to choose a proper web scraping service for best results.